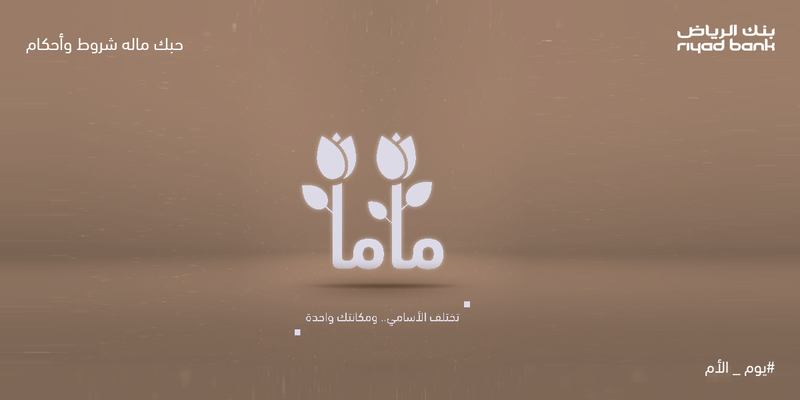 Tarek Chemaly: Riyad Bank - those great mother's day ads! Riyad Bank - those great mother's day ads! Now there are several ways to look at these ads. "several names but your position does not change" with three different interpretations: Mama, Yamma Oummi. But what really aces it is that diclaimer on top, an remember this comes from Riyad Bank "you love is where no terms and conditions apply". To be honest this was supposed to be the ad if you ask me! What a brilliant touch!